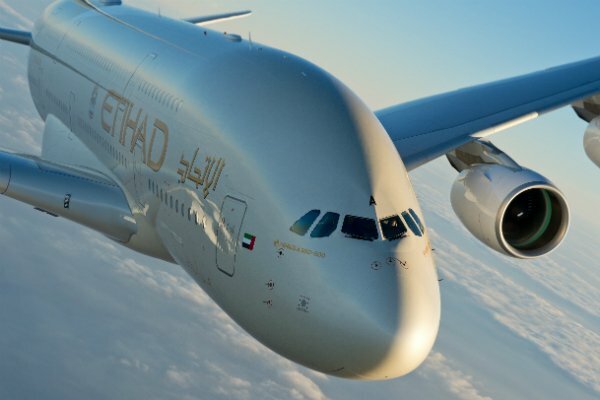 Abu Dhabi’s Etihad Airways has announced plans to introduce an A380 on its Paris route over the summer to meet demand. The seasonal adjustment will see the aircraft operate one of the carrier’s two daily services between Abu Dhabi and the French capital from July 1 to October 28. This will increase capacity from 328 seats on the current Boeing 777-300 serving the route to 496 with the A380, including two in its residence three-room suite, nine in first class, 70 in business class and 415 in economy. EY31 will continue to leave Abu Dhabi International at 2:15am and arrive at Paris Charles de Gaulle at 7:50am. Return trip EY32 leaves Paris at 10:40am and arrives in Abu Dhabi at 7:30pm. “Flying our flagship product to France with additional seat capacity helps fulfil growing demand and meet our guests’ expectations for an even greater travel experience with unmatched luxury, comfort and service,” said Peter Baumgartner, Etihad Airways CEO. Etihad also flies A380s to London, Sydney, New York and Melbourne. The price for the residence on the Paris route is $10,750 each way, according to the airline.